The Lancashire club revealed on Thursday afternoon that they had been contacted by their Sky Bet Championship rivals and have given them the go-ahead to open negotiations. 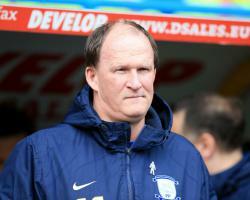 A statement from Preston read: "Preston North End have today been contacted by Sunderland Football Club to ask permission to speak to Simon Grayson in relation to their vacant managerial position. "Having spoken to Simon, he has asked permission to speak to the Black Cats and therefore the club had no option but to allow these conversations to take place with a compensation package already guaranteed in his contract. "Whilst these talks are ongoing, Steve Thompson will be in charge of first team affairs. "The club will make no further comment at this stage."